Public sector workers have been told they must work until the age of 66 and increase their contributions in order to protect their pensions. The announcement, from Chief Secretary to the Treasury Danny Alexander, came ahead of a speech to the Institute of Public Policy Research, and follows recommendations in the Hutton Report to replace final-salary pension schemes in the public sector with benefits based on a worker’s career average. Despite today’s announced changes, contributions will not rise for the lowest-paid public sector workers. 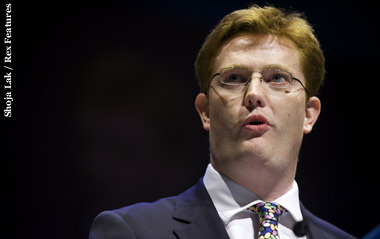 Those earning up to £15,000 will face no increase, and those earning up to £18,000 will face an increase capped at 1.5%. However, it has been suggested that this attempt to soften the blow on lower earners will mean those at the higher end of the earnings scale will pay up to 5% more. Perhaps the most controversial aspect of today’s announcement is the suggestion from Alexander that public sector workers risk further changes to their pensions if they choose to strike over today’s announcement. Writing in the Telegraph, Alexander said that the Government’s offer is “by far the best that is likely to be on the table for years to come”, and that it will still leave public sector workers with retirement deals that are more generous and more certain than most in the private sector. Unions have offered a predictably angry response to the news, and to the suggestion that strikes might further jeopardise pensions. PCS general secretary Mark Serwotka said: “We have been heavily criticised by the Government for balloting for industrial action while talks are ongoing and yet Danny Alexander now appears to be admitting that ministers are not planning to change their minds. Joanne Segars, chief executive of the National Association of Pension Funds, warned that the changes might force some to sacrifice their pensions altogether. She said: “It was clear that the Government needed to do something to limit the impact of increased contributions. These proposals spare the low paid and the phased rises make sense. There was a real risk that the poorest would be priced out of their pension. “But even with these changes there is still a real threat that too many average earners will quit their pension, especially at a time of flat wages and tight household budgets. XpertHR has a range of information available on pensions.